One of the earliest Nintendo 64 titles, Shadows of the Empire was the first 3D Star Wars game released on a Nintendo system. 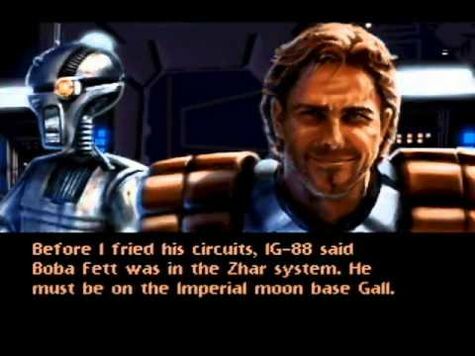 At the time of its 1996 release, it blew gamers away, and those who experienced the N64 in its early years would have unanimously agreed that Shadows of the Empire was the definitive Star Wars gaming experience. Today, however, Shadows of the Empire has aged considerably, and what once seemed definitive would now barely pass for a mediocre Star Wars title. This N64 game was a part of the Shadows of the Empire multimedia sub-series within the greater Star Wars franchise that was actually pretty popular in the 1990s. Shadows of the Empire follows the events in between The Empire Strikes Back and Return of the Jedi. The game centers around Dash Rendar, a mercenary who is caught up in the ordeals between the Empire and the Rebellion, specifically those involving Luke Skywalker, Princess Leia and Han Solo. This, of course, makes Shadows of the Empire one of those weird licensed games that takes place during a lot of the events of its source material, but viewed from the sidelines from the perspective of a new character, which always ends up feeling like a B-story. It tries its hardest to make you care about Dash though, with the opening cinematic showing what good buddies he is with Han Solo, and immediately placing him in the Battle of Hoth, a fan favorite sequence from the fan favorite Star Wars film. 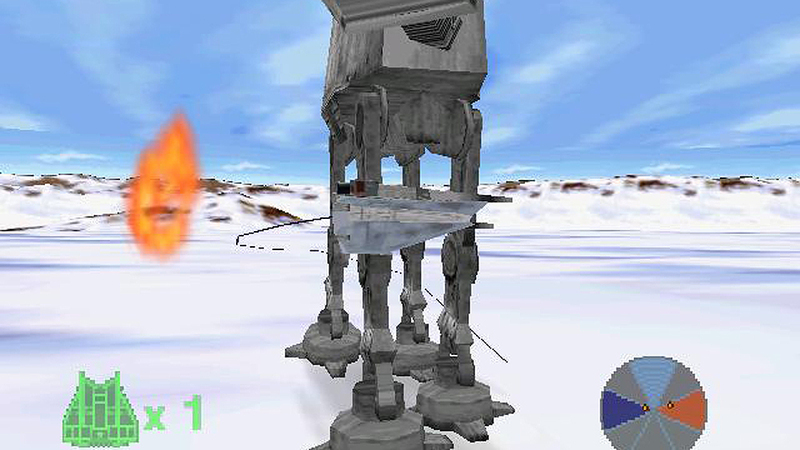 This opening stage, which sees the Battle of Hoth faithfully recreated on the N64, is arguably the best of the game’s ten stages. It’s the one that gives players the closest feeling to being in the world of Star Wars as you shoot probe droids and trip AT-ATs with tow cables. There are other stages that take place in aerial and space battles inside of Dash Rendar’s ship, but they don’t match up to the thrills of the opening level. Most stages take place on foot, however. 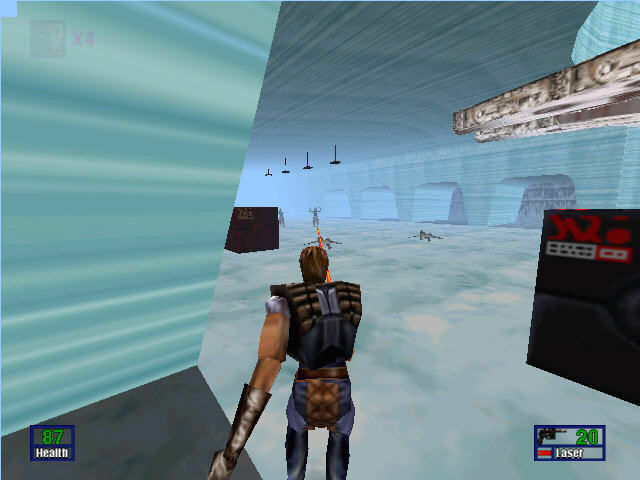 Dash Rendar is equipped with a blaster, and can find some additional weapons along the way, such as heat seeking missiles and even a flamethrower. Dash even gains other helpful items like a jetpack. The on-foot stages can provide some fun action, but it all feels a bit backwards when playing today. The camera is fixed behind Dash Rendar normally, but can be switched with the press of a button into first-person mode, a bird’s eye view, or you can fix the camera in front of Dash. The standard camera and first-person are less than ideal, but the latter two options make the game downright unplayable. Dash’s control feels awkward even when not taking the camera into consideration. His movement feels slow, his jumps are both sporadic and floaty, and the player has little control of Dash’s aiming, as Dash’s blaster automatically focuses on the closest enemy in the direction he’s currently facing. There are other problems plaguing Shadows of the Empire that have done nothing to help the aging process: Indoor sections often have pitch black lighting, making it incredibly difficult to see anything, and you often just run around hoping you’re following the path. There are too many narrow corridors, which become frustrating given the clunky controls and camera. Boss fights feel cheap, as they do enough damage to kill you in a few quick hits, and their hit points don’t reset when you die, so it basically encourages you to lose repeatedly and damage bosses incrementally until defeated. The visuals haven’t aged well at all. And when the game requires you to do some platforming, well, it’s painful. You have to give credit where credit is due, however. The game was certainly ambitious for its day, and the variety in the levels is pretty fun. The opening level, again, was and is a great N64 moment, and hearing the John Williams soundtracks to the Star Wars films, while a bit of an easy way to ensure a quality soundtrack, never fails. When all is said and done, Star Wars: Shadows of the Empire gave a lot of people many great memories in the pantheons of both Star Wars and Nintendo nostalgia, but it would be a lie to say that it lives up to the memories. You could probably find worse Star Wars games, but Shadows of the Empire no longer wows like it once did. It was an okay game for its time. I received it as a gift shortly after it was released. In fact, it was the first Star Wars game I had ever played. I really like how much variety it has in only ten stages. Plus, the music is absolutely amazing, especially in Xizor’s Palace. But, I have to admit that the game has not aged well. Honestly, it’s the fate that befell many early 3D games. It’s how you can separate the wheat from the chaff in this regard; the only ones that are still worth playing are the ones with exceptionally good or innovative gameplay.